Institutional integrity is being compromised with alacrity and it would seem that a 'committed judiciary' is the next logical step. A day after the Supreme Court dismissed the petition for a probe into Justice Brijgopal Harkishan Loya's death on April 19, leaders of seven Opposition parties met vice-president and Rajya Sabha chairman Venkaiah Naidu to hand over a notice for chief justice Dipak Misra's impeachment. But even before the Supreme Court could assemble on the next working day (April 23), came the news of the Naidu rejecting it. Naidu, who was in Hyderabad on a tour, cut short his trip and headed for the national capital on April 22. It's a matter of conjecture how the 10-page order was drafted swiftly enough to reject the notice of motion of impeachment so quickly. The impeachment motion had been mooted by members of the Opposition parties on the back of the unprecedented press conference held by four senior judges of the Supreme Court on January 12 accusing the chief justice of misusing his authority as "master of the roster", which refers to the privilege of the chief justice to constitute benches to hear cases. 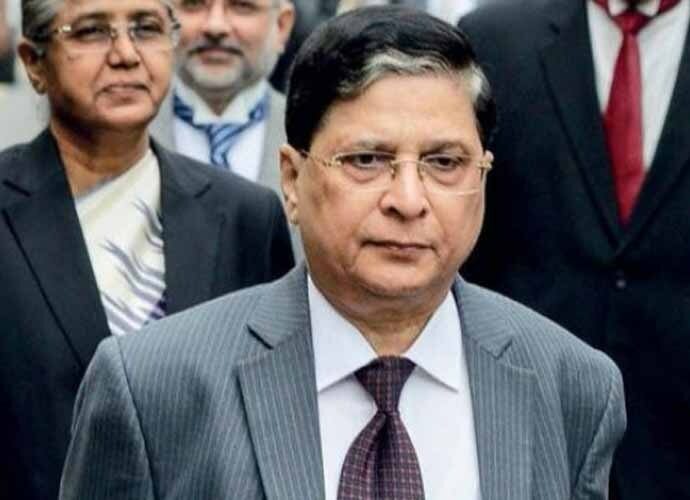 The judges' press conference also came in the backdrop of two similar petitions filed in the Supreme Court on January 11 demanding a probe into justice Loya's mysterious death by people of questionable credentials a day before it was to be taken up by the Bombay High Court and CJI Dipak Misra's subsequent allocation of these petitions to justice Arun Misra's bench. After dithering for weeks on going ahead with the impeachment motion, the Opposition finally bit the bullet last week. Even if we accept their contention that their appointment with the Naidu had been fixed a week ago, it assumed huge political significance in the backdrop of the verdict dismissing the petitions demanding a probe into Loya's death by a bench headed by none other than the chief justice. It has also been noted by senior lawyers that there isn't any discernible change in the way CJI Dipak Misra has been allocating cases in the three months since the judges' mutiny. Judges often escape accountability because Constitution provides no alternative apart from impeachment of a judge under Article 124 (4), that too on the grounds of "proved misbehaviour and incapacity". On the other hand, a section of the legal fraternity has alleged that the impeachment motion moved by the Opposition was politically motivated and was aimed at making chief justice recuse himself from his office pending the inquiry. But after the swift rejection of the demand by the Rajya Sabha chairman, it would seem that the executive is solidly behind the chief justice. On the whole, the matter has only ended up severely denting the image of the judiciary in the eyes of the public. In a letter dated March 21, 2018, by justice Jasti Chelameswar to CJI Dipak Misra, marked to all the fellow Supreme Court judges, Chelameswar warned about the executive's efforts to encroach into the domain of the judiciary. "We the judges of the Supreme Court of India are being accused of ceding our independence and our institutional integrity to the executive's incremental encroachment. The executive is always impatient and brooks no disobedience of the judiciary if it can. Attempts were always made to treat the chief justices as the departmental heads in the secretariat," Chelameswar wrote.The letter was related to the issue of the executive bypassing the Supreme Court to directly engage with the chief justice of the High Court of Karnataka regarding an inquiry into a judge recommended for promotion by the collegium. Similarly, justice Kurian Joseph wrote a letter on April 12, 2018, to the chief justice with a warning that "history will not pardon us" in the context of the law ministry sitting on the collegium's recommendations to elevate former Uttarakhand chief justice KM Joseph and justice Indu Malhotra to the Supreme Court. He wrote about the dire need to deal with the matter on the judicial side by holding a full court to protect the independence of the judiciary. It is assumed that KM Joseph is being victimised for reversing President's Rule imposed in Uttarakhand in April 2016. These letters suggest that the chief justice has not really made any amends in the months following the judges' press conference in January. It is a matter of grave concern if the judiciary is seen to be amenable to the government and people evaluate the outcomes of cases based on "bench fixing". Following the dismissal of petitions moved separately by senior lawyers Kamini Jaiswal and Prashant Bhushan in the medical bribery case in November, 2017 that gave rise to the 'Master of Roster' judgement, former Law Minister Shanti Bhushan has petitioned the Supreme Court raising serious allegations about the allocation of cases by the chief justice and the registry. The manner of allocation of cases clearly reflects "a pattern of favouritism, nepotism, and forum shopping." according to the petition. It also lists a series of cases that the petition alleges "reflects and establishes the gross abuse of powers." In the backdrop of all this, one wonders if the Opposition wasn't morally obliged to move the impeachment motion against the chief justice as his non-partisanship has increasingly been called into question along with gross corruption allegations hanging in the air in the Prasad Medical College scam. In the Srilekha Vidyarthi judgement (1990), the court said that reasonable and non-arbitrary exercise of discretion is a requirement of law. Bench constitution being an administrative function of the judiciary, the CJI cannot act in an arbitrary manner in fixing benches. Only an inquiry could restore the dignity of the office of chief justice in the light of corruption allegations. Newspapers on April 25 carried another important piece of news. 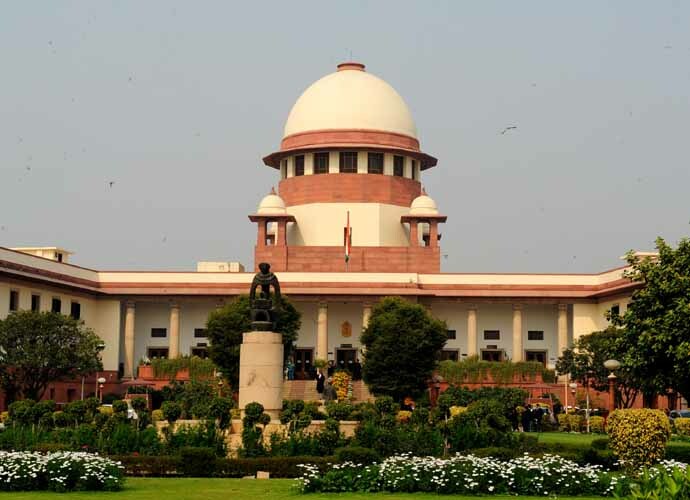 Justices Ranjan Gogoi and Madan Lokur wrote a two-sentence letter written to the chief justice on April 22 (after the impeachment notice was moved) demanding a "full court" to discuss "institutional issues" and "future" of the apex court has also been reported today. The opinion of eminent jurist Fali Nariman, who urged fellow Supreme Court justices and others to "lump it" and wait out the five months remaining in the term of the CJ Misra need not necessarily be a good opinion regardless of Nariman's stature. After all, the first eight months of Misra's term have seen a host of controversies and who knows what could be in store in the next five months. When Chelameswar was asked at the press conference on January 12 if he favoured the impeachment of the chief justice, he had stated that "it is up to the nation to decide." We saw how the office of the Election Commission has come under a cloud of late. 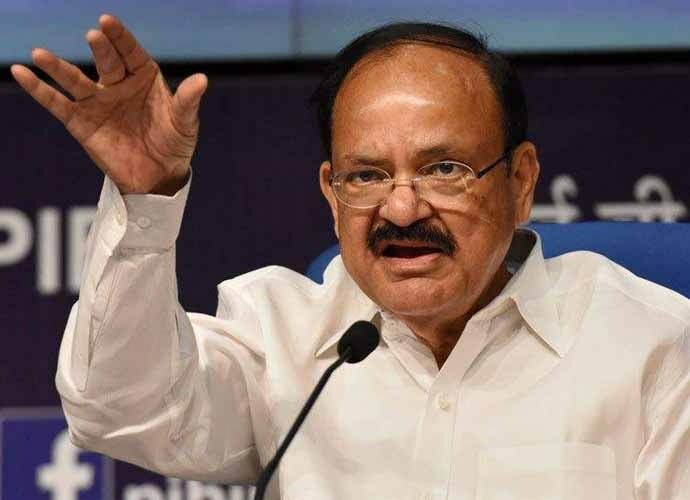 The decision of the Rajya Sabha chairman to summarily reject the notice of motion should also be seen in the context of his counterpart in the Lok Sabha deliberately preventing the motion of no-confidence against this government from being taken up. Institutional integrity is being compromised with alacrity and it would seem that a "committed judiciary" is the next logical step. The rejection of impeachment call by the vice-president at the admission stage has no precedent and will no doubt be challenged in the Supreme Court. Once again, it will be interesting to see which bench ultimately hears it as the outcome could well depend on it. One hopes that the principle of "no one shall be a judge in his own case" would be strictly adhered to and there would be no attempts by the chief justice to influence the outcome. Let truth and justice prevail.